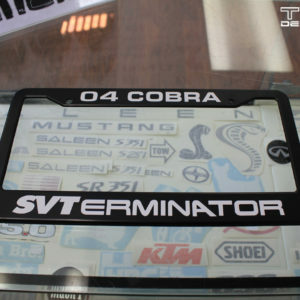 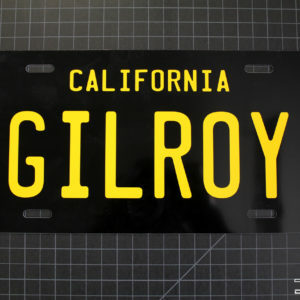 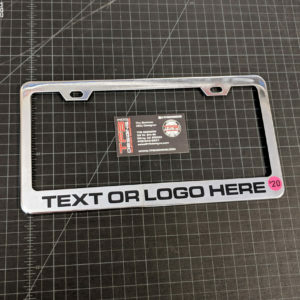 Custom License Plate Frame – Your Choice of Lettering & Color! 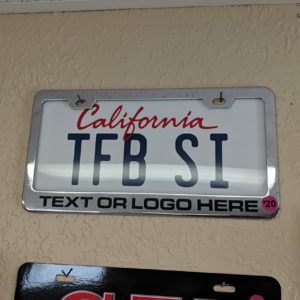 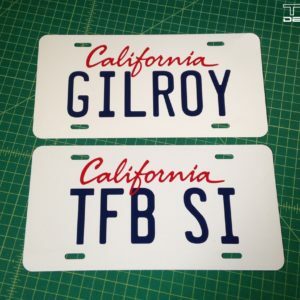 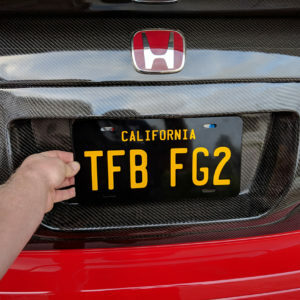 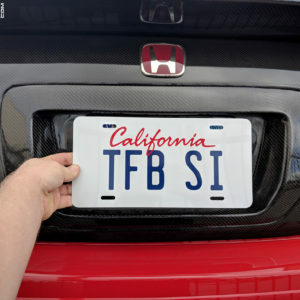 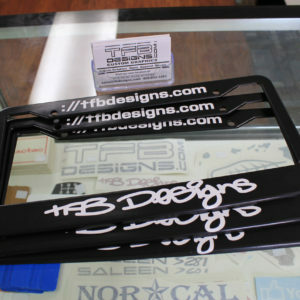 This is a TFB Designs license plate frame. 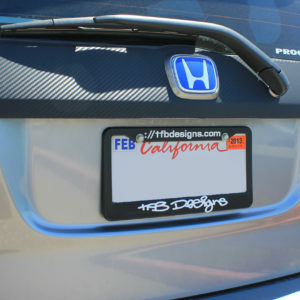 This license plate frame is made from high quality black plastic to save weight. 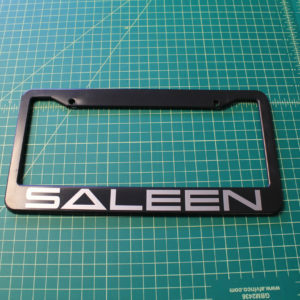 The lettering on the license plate frame will be the color of your choice.